The Anglo-Saxons, just as the Norsemen, Goths, and other ancient Germanic peoples, were very fond of riddles and poetry. 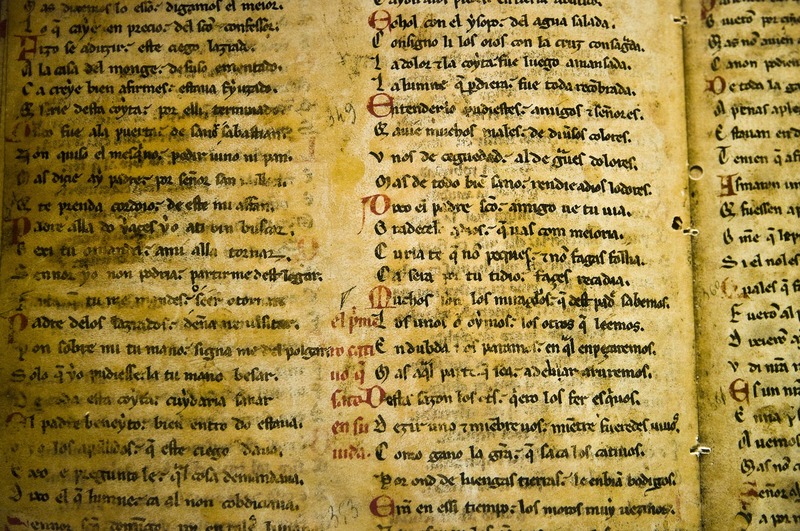 The Old English gnomic poetry passed the test of time through, most notably, the Exeter Book. This early medieval English manuscript constitutes the most voluminous body of work of Old English poetry ever written down. Subsequently, this 10th century volume was listed by UNESCO as part of ‘world’s principal cultural artefacts’. hard, ravaging. It spread mischievous spells. she is my daughter grown big and strong. that she shall stand up beautifully everywhere in the world. The answer is ice or iceberg. and waves covered me, close to the ground. eat my meat. They want not my skin. Then they eat me uncooked. . . .
with mortal blows day and night. covered by the waters. The land is strange to me. I am strong in the strife if I stay at rest. and forthwith they wrench me and put me to rout. They would carry away what I ought to defend. and the stones hold me fast. Ask what my name is. is this our world, cunningly adorned. grind against the gravel, crying out as it went. who are wise in words, what this thing may be. to the shelter of roofs. Then they bathed me in butts. and control of his mind, of his feet and his hands. the foolish after fighting, in broad daylight. and at times stronger; he is more enduring. Often I rest; he must run on. With him is my home all my life long. If we two are parted my death is destined. The answers are fish and river. success in the cities or bright reward. those paths of mine from all mankind. The answer could be either moon or minstrel. The answer is most likely beech tree.